We camped that night just past a bend in the road known as Coco's Corner. Coco is well known to offroad racers, dirtbike riders and travelers running down the peninsula. Coco's got no legs below his knees, he lost them to diabetes. He gets around on a beat up quad with special footpegs and when he's not on the machine he just walks around on his stumps. Coco has developed his little spot into a stopping point for the curious and the thirsty; his beer is always cold. He was the one who dropped by and told us we should check out the 4x4 route and that we should do it now because he was building a roadblock to stop anyone from using the road. It turns out that the new Baja 1000 organizers weren't spreading the love (money) like they used to and many of the local ranchers, and Coco, were pissed at them. We, however, had Coco's blessing and with that we were off. Imagine trying this on the street in front of your house. The road was both rough and beautiful. The old Baja wisdom that, "Good roads bring bad people." must mean bad as in the type of people who litter, paint graffiti on rocks and break bottles. 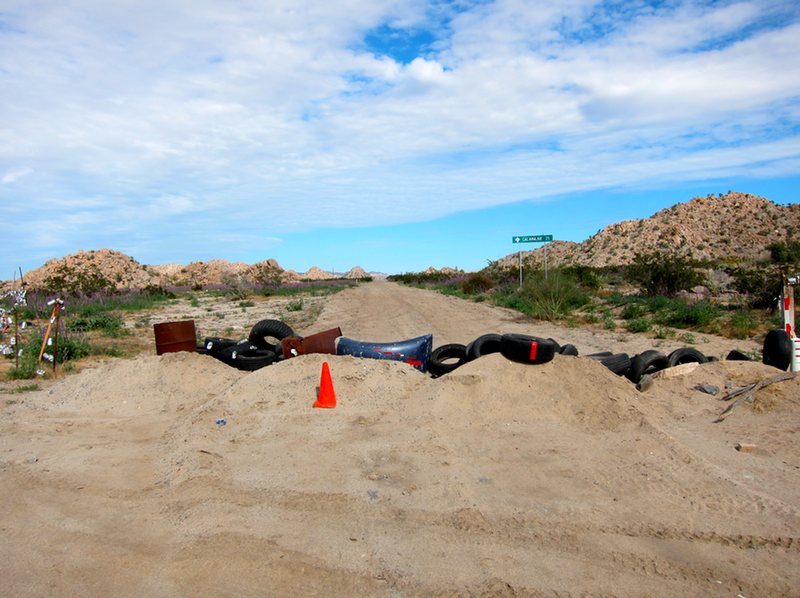 On the big Baja highway, you'll see evidence of the work of "bad people". This, however, was a bad road and the desert around it was pristine. The good people on that bad road evidently cared about the land. Everywhere I looked there were intricate xeriscape scenes laid out just off the trail. Starting from beautiful copper colored rocks set into the the type of perfect randomness that comes from a million years of weathering and geologic shuffling. 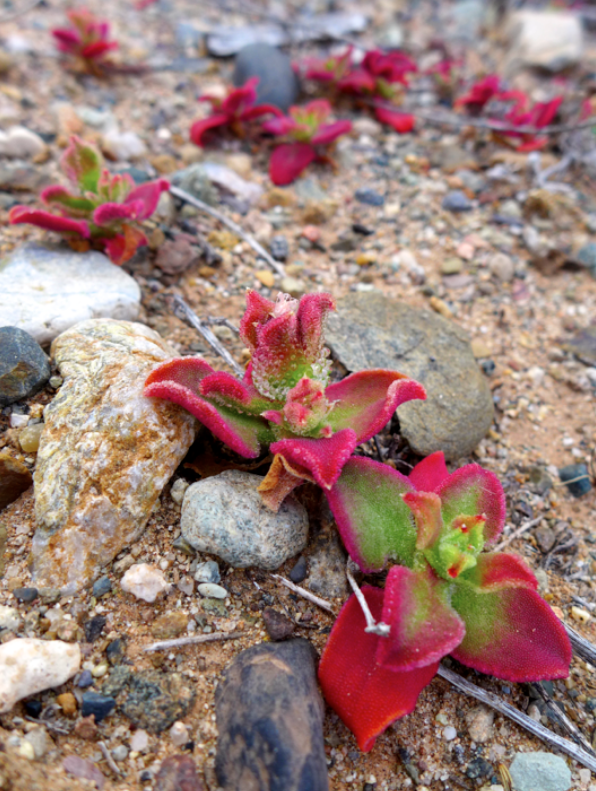 My favorites were the "look-close" tiny colored succulents tucked into the cracks and crevices. The hardscape was speckled with a palette emphasizing subdued desert greens from dark green to almost silvery. The bushes, small trees and varied cacti, each a slightly different shade. The soft hues and rounded shapes of the plants contrasted against the angular rocks, different but somehow unified. Not a scrap of trash or a plastic bag hung up on a cactus, walk a few yards away from the road and you'd be in a piece of land that hadn't seen a footprint in a hundred years. The desert here is something special. Desert colors- not all greens, browns or tans. The road on the other hand, was brutal.